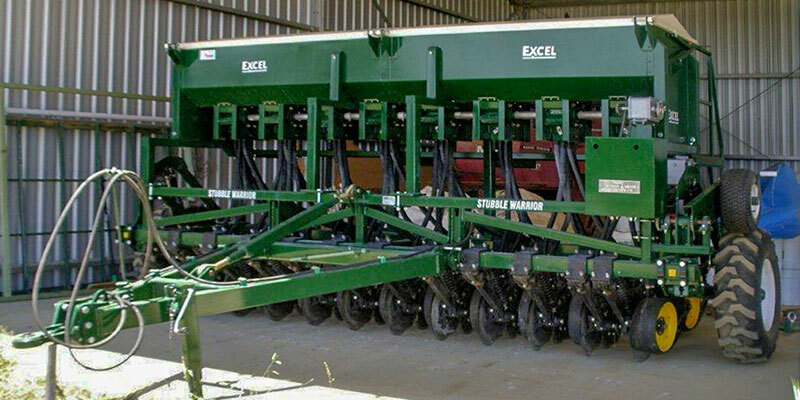 Contact us at Excel for more information. 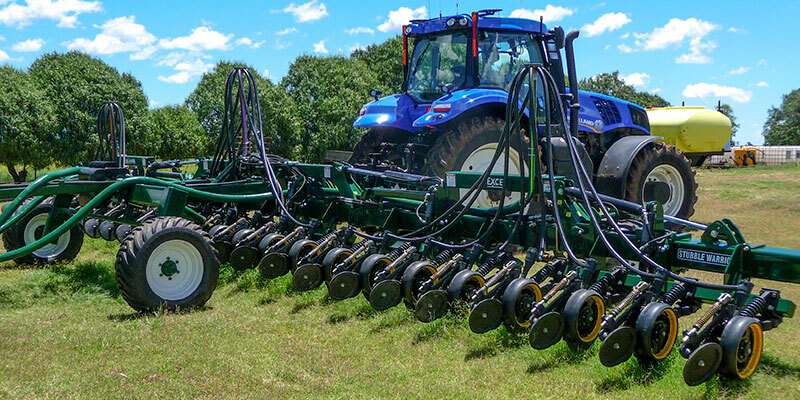 Single Units or Complete Machines - The Choice is in your hands! 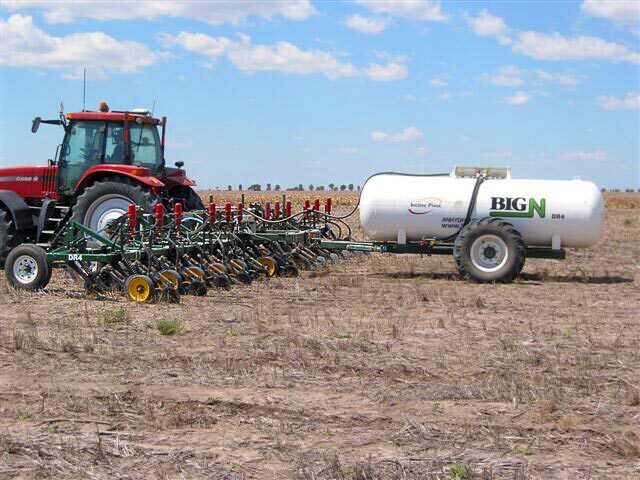 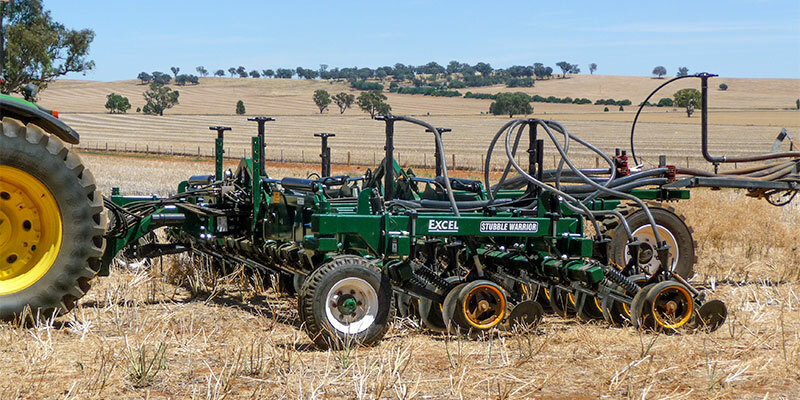 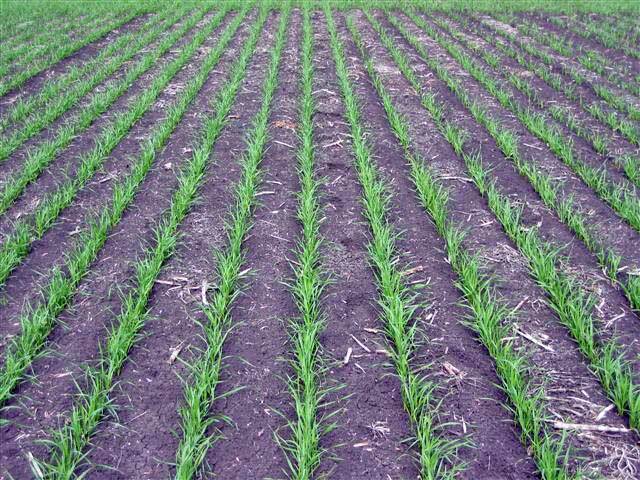 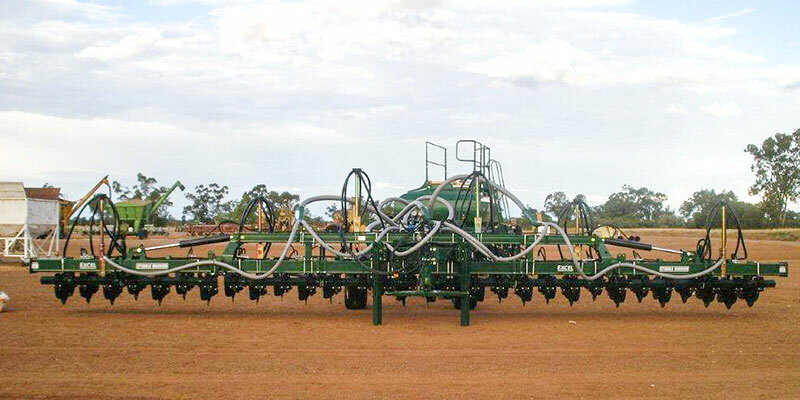 Excel's EI 853 opener is ideal for seeding and fertilising into heavy trash cover and clayish/sticky soils. 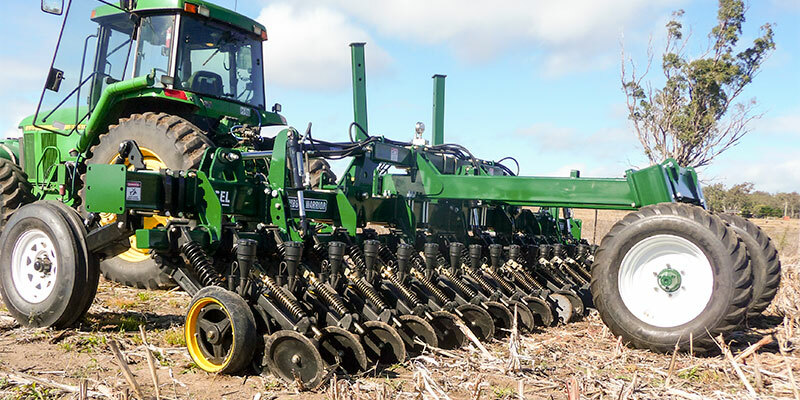 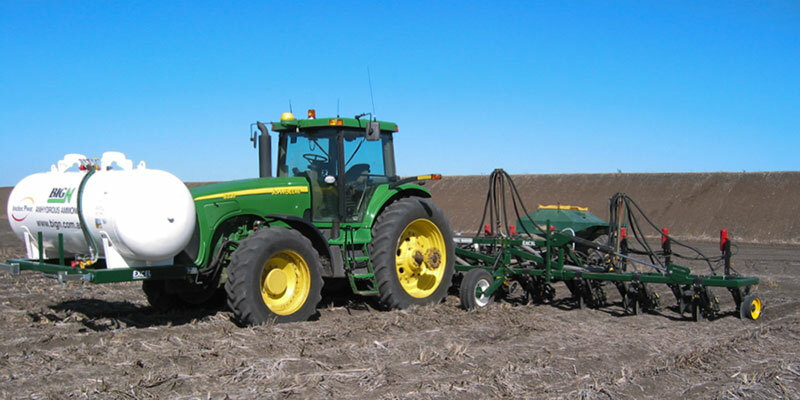 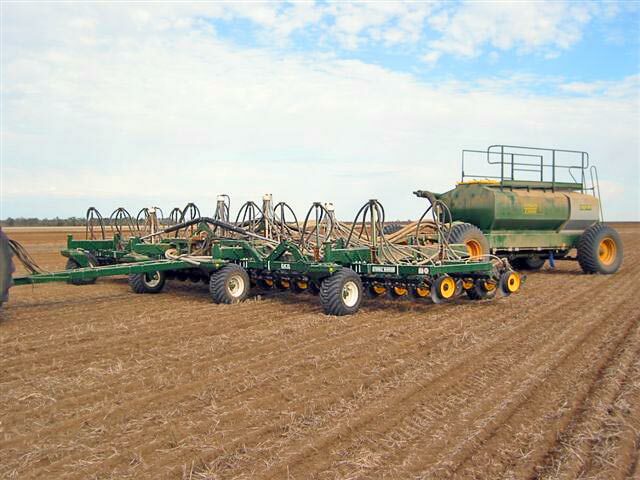 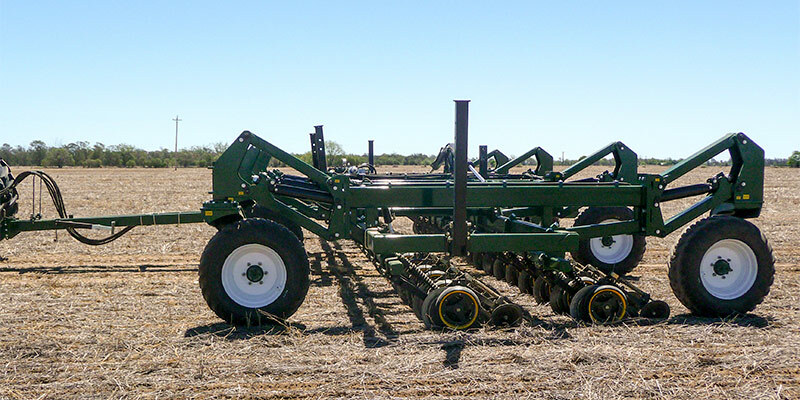 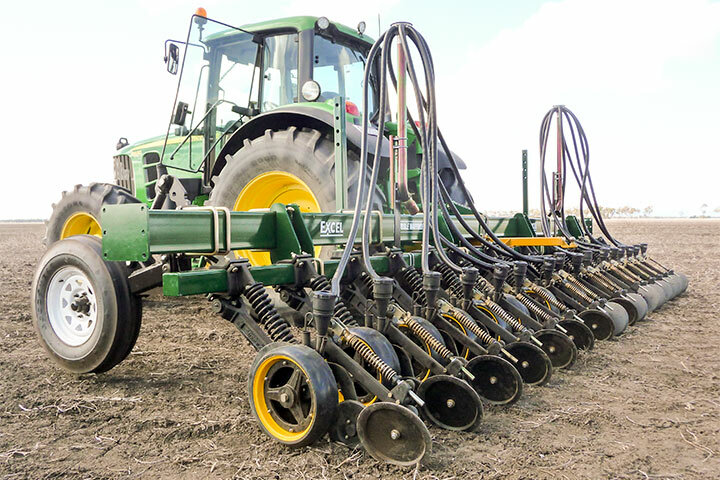 This Single Disc Opener has excellent ground penetration in tight soils and has also proven to be very effective in tilled soil. 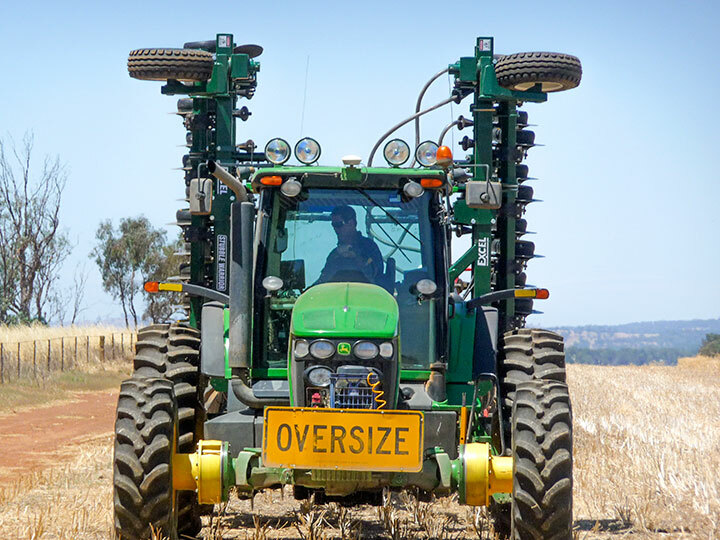 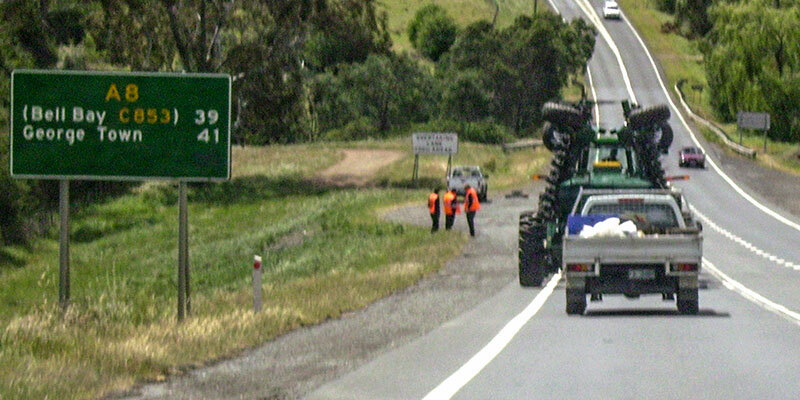 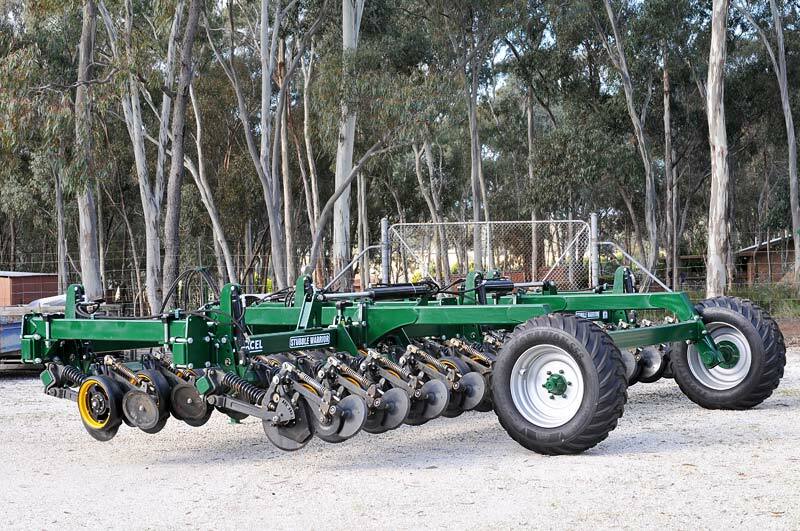 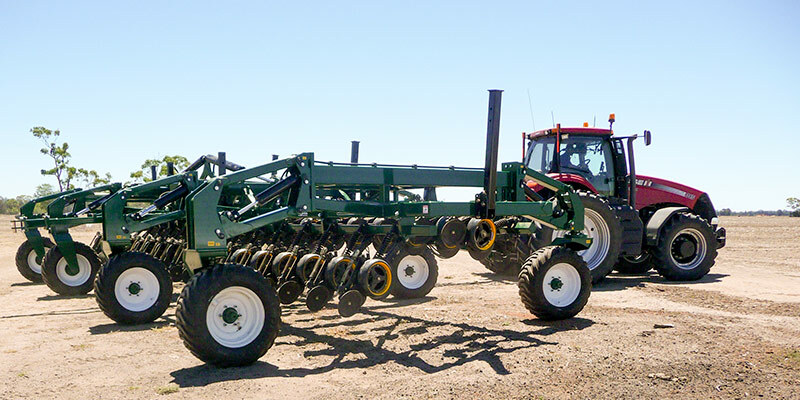 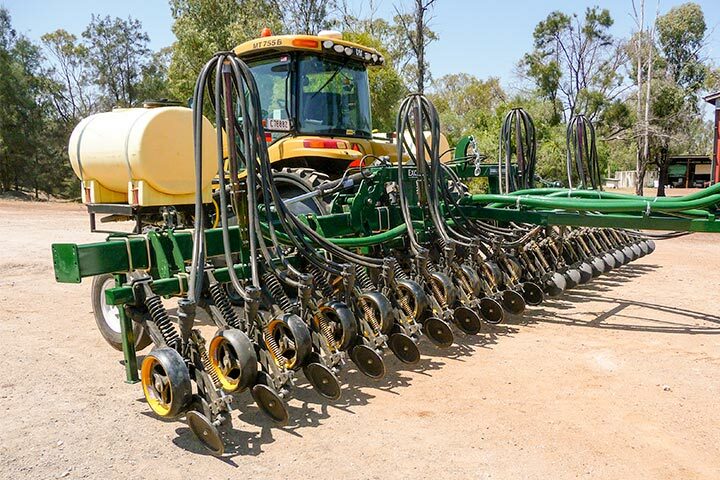 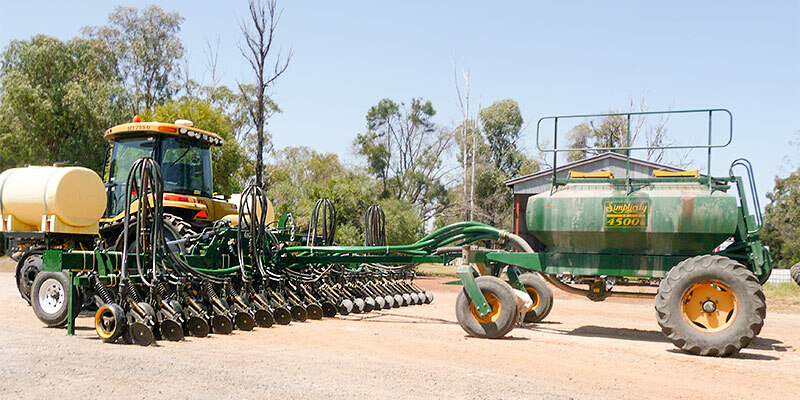 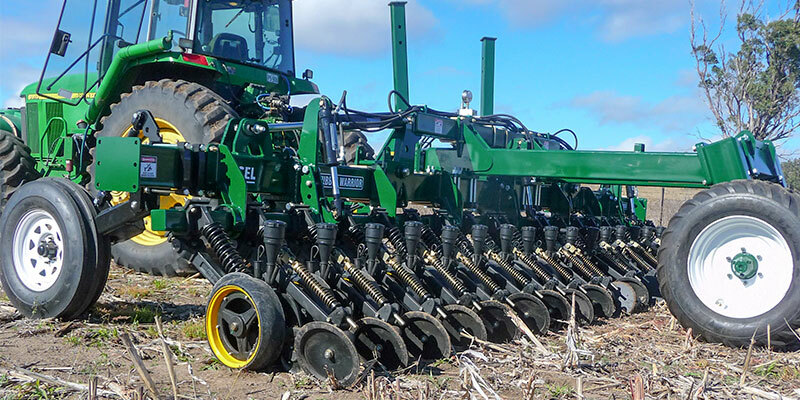 Robust 18" single bevelled which provides minimal ground disturbance to disc opener. 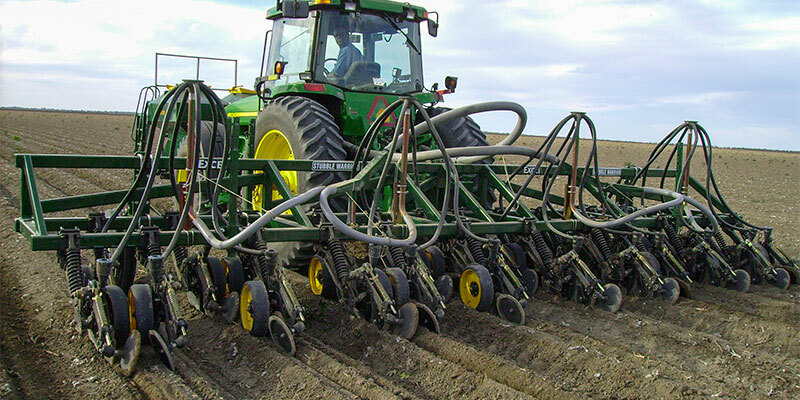 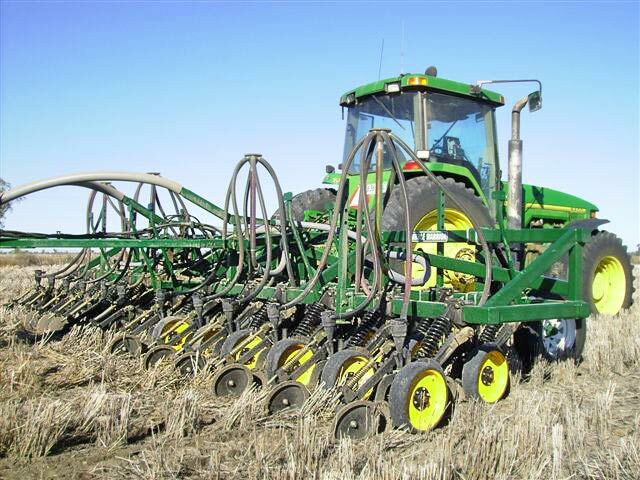 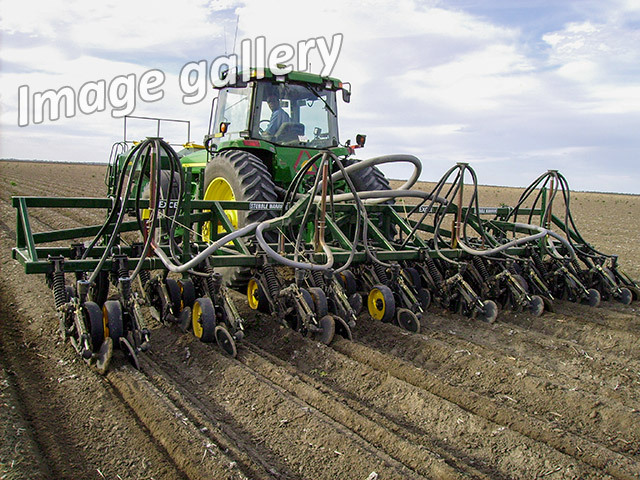 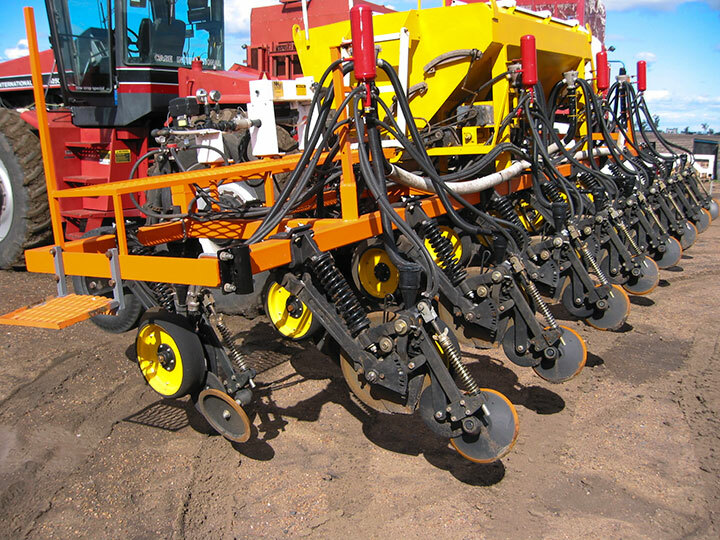 This maintains moisture and minimises weed germination. 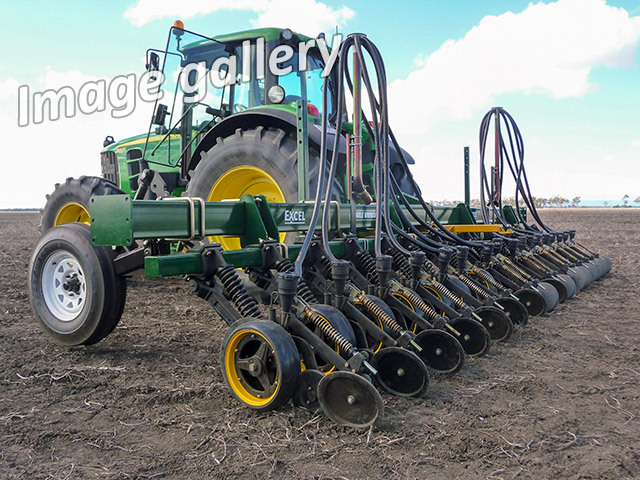 Heavy duty 41/2" x 15" gauge wheel which allows precise control of seed placement. 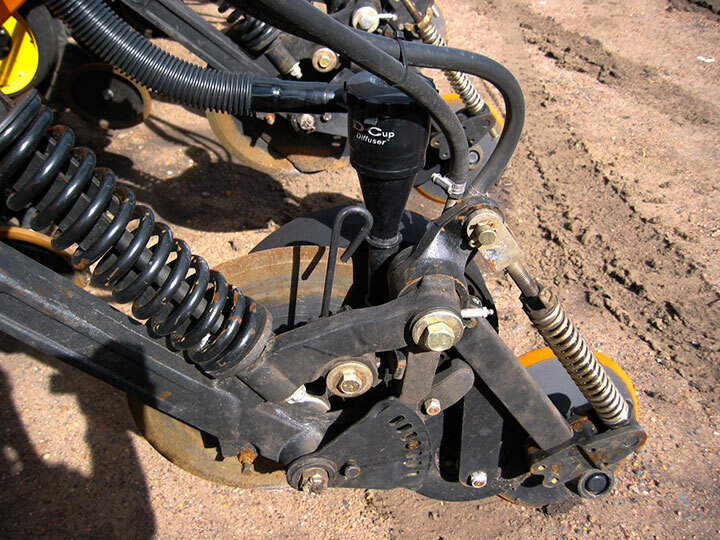 Hard faced planting shoe which ensures longer life in a wide variety of soil types. 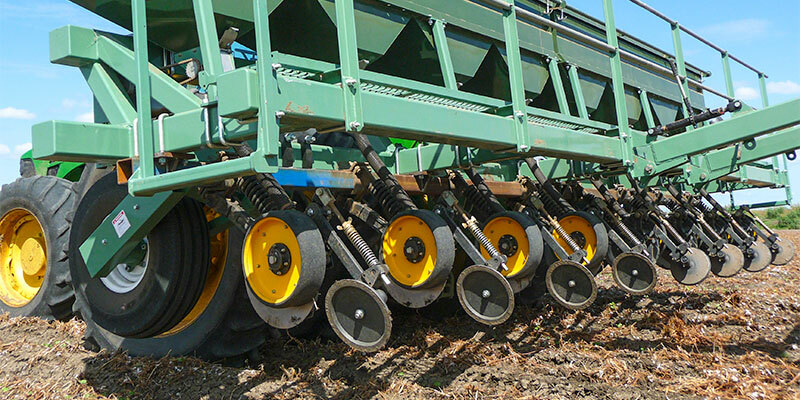 Seed firming wheel which provides excellent seed to soil contact. 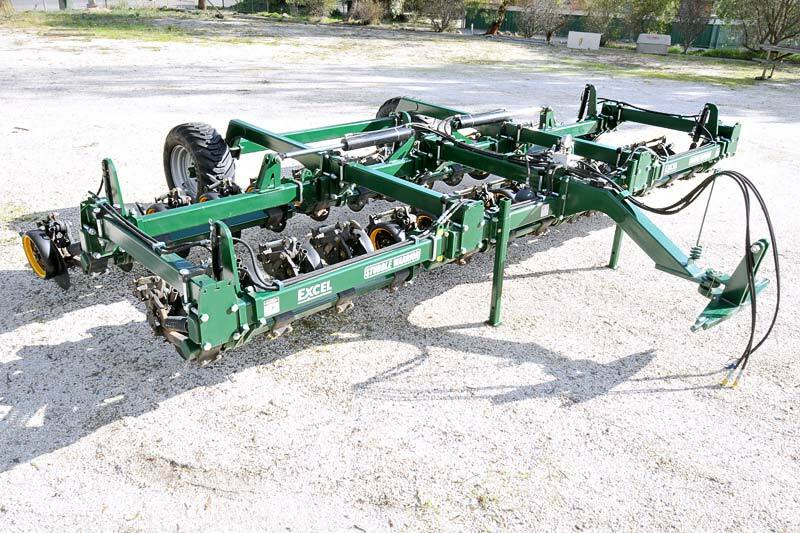 Suit 4"x 4" toolbar. 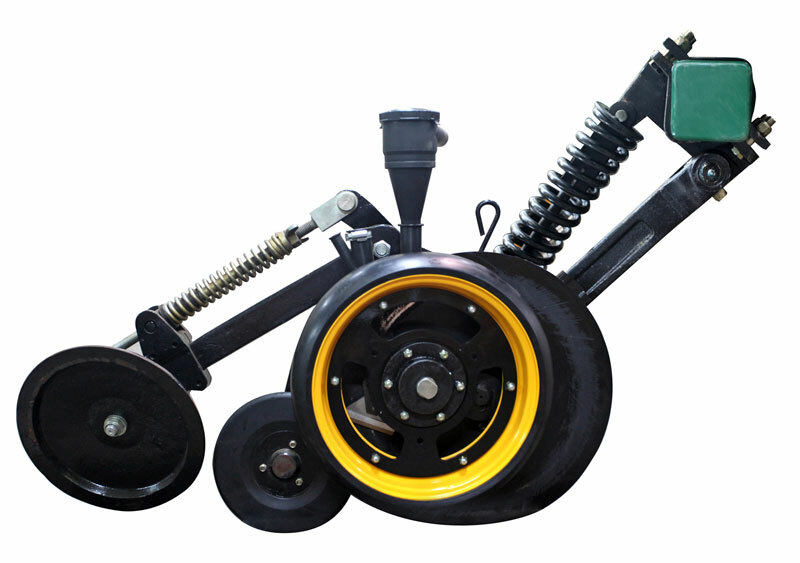 Can also be adapted to suit 6",7" or 8" bars. 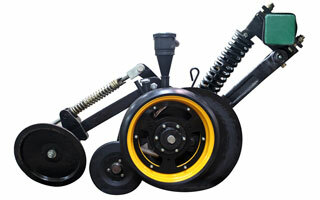 Heavy duty down force spring which ensures accurate placement at higher speeds. 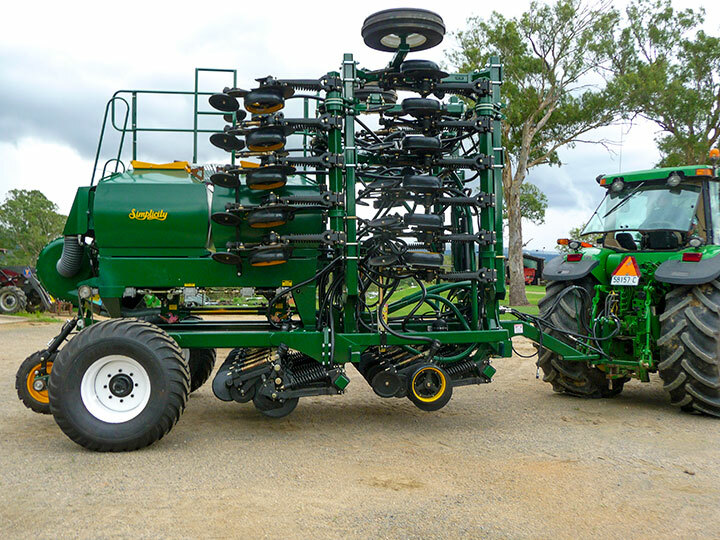 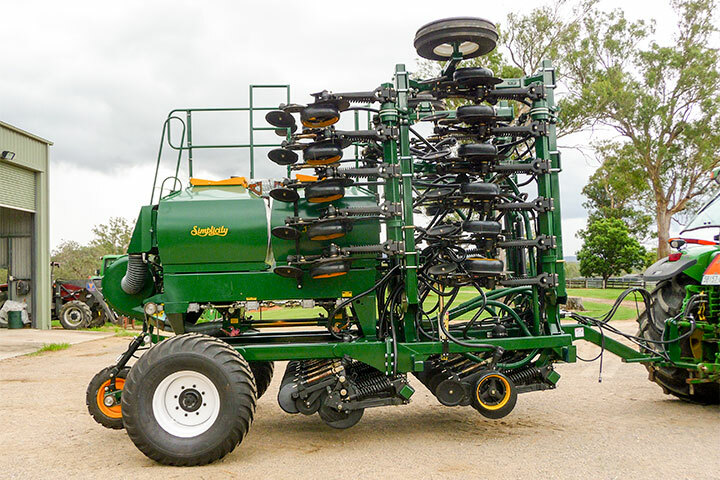 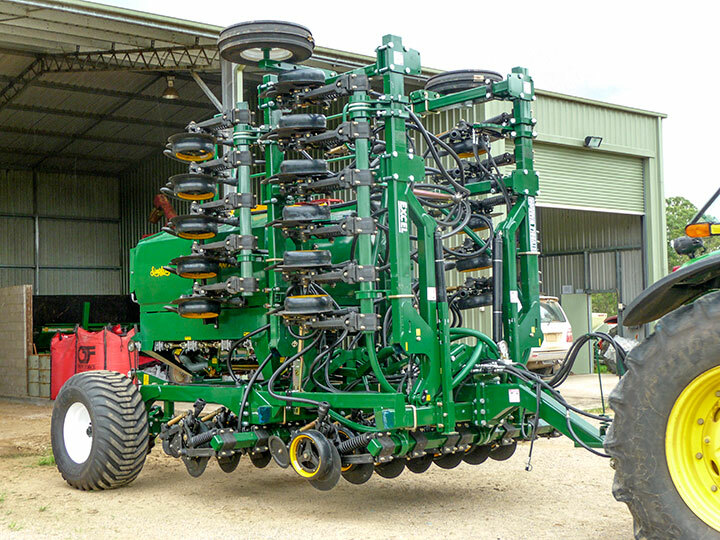 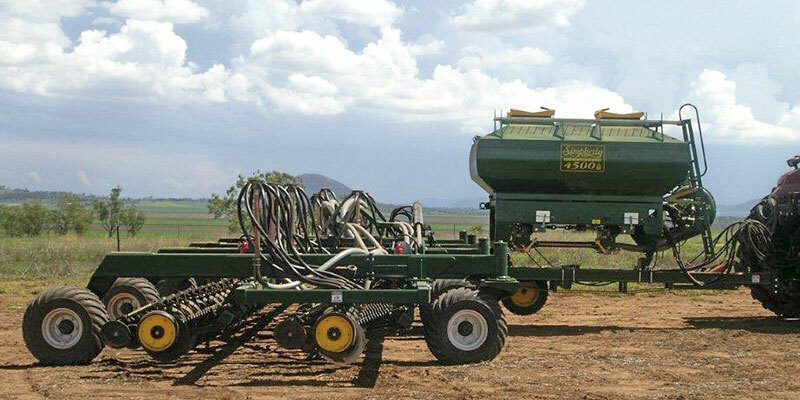 Fully and easily adjustable unit to cater for different soil types. 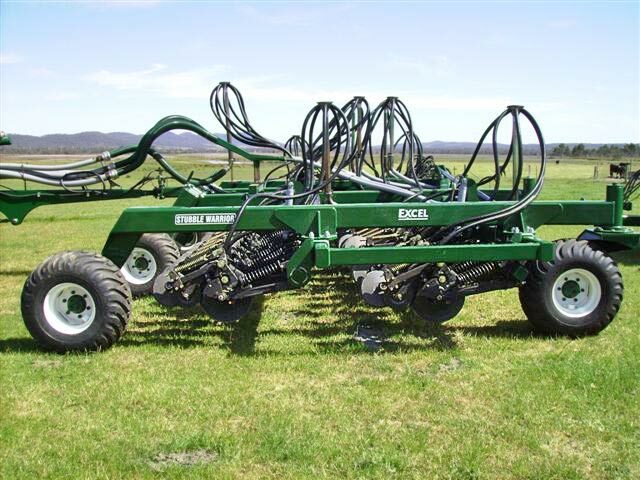 Adaptive to suit most bars. 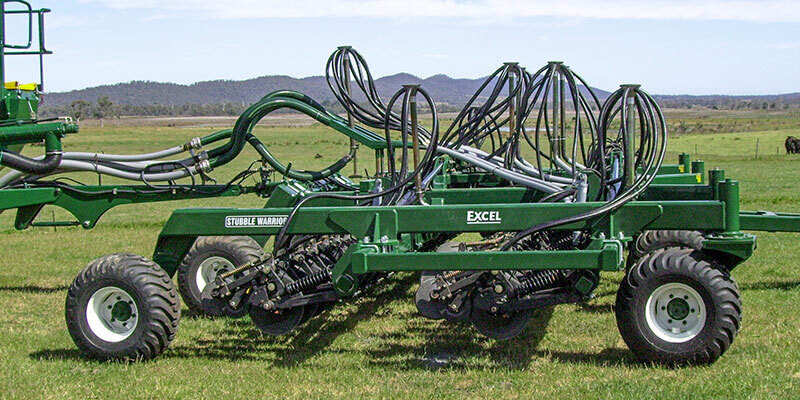 Trailing & Linkage frames available from 4 meters to 18 meters. 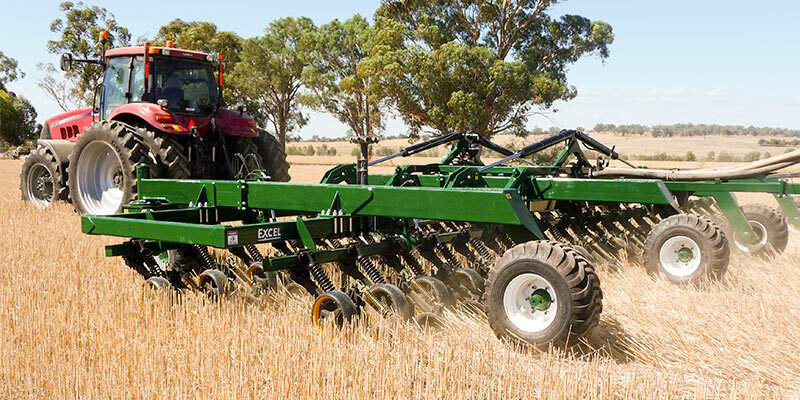 Contact us at Excel to discuss your Single Disc Opener requirements.